Open Source Bridge is in two weeks, and I used their OpenConferenceWare system to select my favorite sessions. Argh! 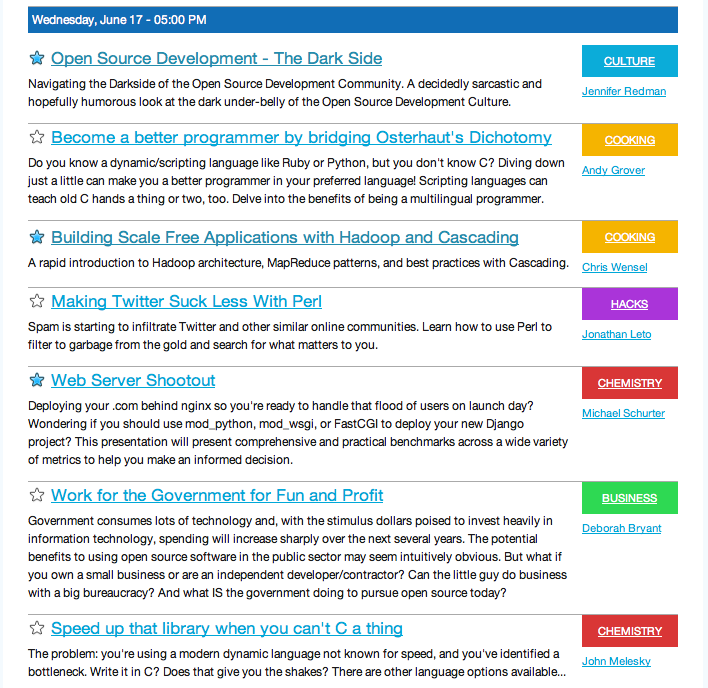 I want to attend three talks in the Wednesday, 5:00pm timeslot. I’ll have to attend one, and view the other talks’ video afterward. But video’s not as good as being there.